1,600 pounds of butter, anyone? Despite seeing several starlets attending Hollywood’s biggest gala last night who don’t appear to eat anything ever, there was quite a shopping list for Wolfgang Puck and his cooking crew at the Oscars. This is just a sampling of what went into the meals at the Academy Awards ceremony, and doesn’t even begin to include whatever may have been served at any of the countless after-parties. 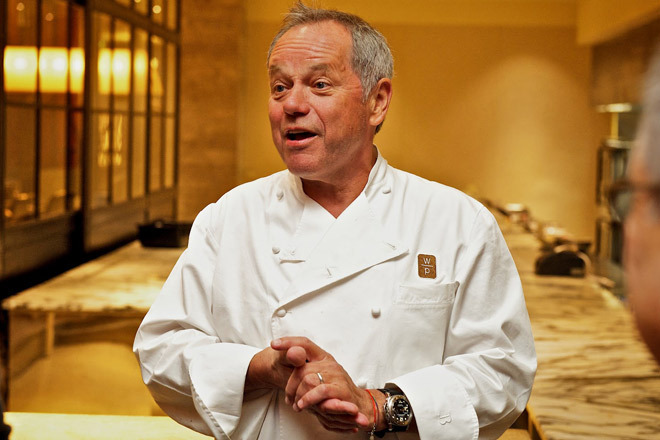 Wolfgang Puck’s making chocolate Oscars. Hey Wolfie — how about you just make your goddamn $14 airport sandwiches edible? We definitely needed that laugh after our favorite animated short—“Fresh Guacamole” by Santa Monica filmmaker PES—didn’t get the win. Who doesn’t love guacamole? !